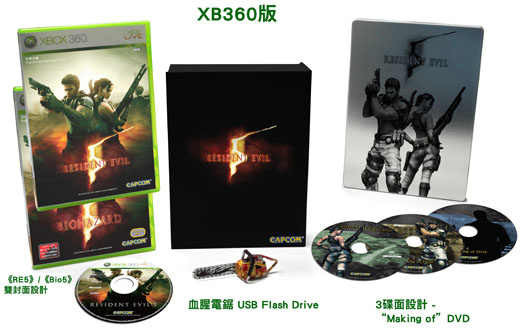 Capcom’s controversial, more-action-than-horror survival horror game Resident Evil 5 has a special treat for people who buy the Limited Edition set: aside from 3 “making of” DVDs, customers will also receive a 2GB USB drive shaped like a chainsaw. A bloody chainsaw. I’ve seen at least two more RE 5 sets that have different freebies. 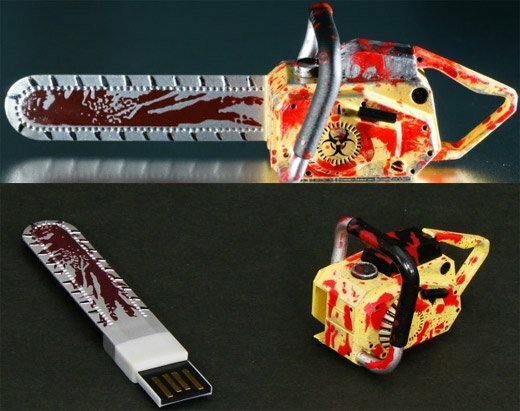 Fortunately, you don’t have to look for the right Limited Edition or shell out lots of money if all you want is the chainsaw; just do a bit of searching on eBay and you’ll find these chainsaw USB drives for sale. 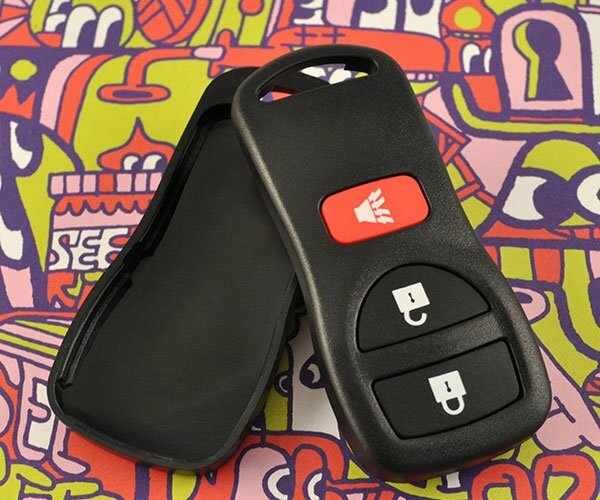 EverythingUSB found one that’s selling for $22 USD, and I found another chainsaw drive that’s going for $36 USD.